As toastmasters, you learn by means of a well thought-out concept: You learn to talk freely to the public by preparing “speech projects” or “roles” and receive constructive and appreciative feedback from other members. You determine your own personal tempo. The basic course of a toastmasters’ evening is always the same and is described in detail under the menu item „As a Guest“. Over 15,900 toastmasters clubs worldwide work according to this programme. Toastmasters International (TMI), founded in 1924, is the world’s largest non-profit organization to learn public speaking and thus leadership. The Toastmasters are ideologically and politically independent. With us, you will learn to speak and present your own ideas. You will learn to follow the contributions of others and to evaluate them in terms of content and style. You can benefit from this in many aspects that could help you at work or for private events and occasions. Toastmasters acquire leadership skills by organizing, guiding, motivating others, giving feedback, or working with the committee to help shape the goals of the club. There are no paid trainers and no “old gentlemen” in the background. As toastmasters, you are actively encouraged to take part. And it is precisely these acquired skills that will not only help you to make a difference in your career but in other areas of life as well. Here you get the opportunity to conduct various types of speeches, table topic speeches and evaluations in English, or to listen to the contributions in the English language of other members, including native speakers. And even if German is not your mother tongue, you have the opportunity to practice your German in a friendly, supportive atmosphere. Contacts and exchanges are important to us. During the break and after the club evening in the restaurant, you can get together for socialising and discussions with the other toastmasters. The speeches and the other contributions of the evening offer plenty of topics for conversation. In the case of interregional meetings, which take place several times a year, you have the opportunity to meet toastmasters from other cities. The same is the case, if you visit other clubs in Germany and abroad. There are many other Toastmasters clubs in the Rhine-Ruhr Area. Perhaps you would you like to visit one of these on their club night? Toastmasters International thrives from the exchange of its members. 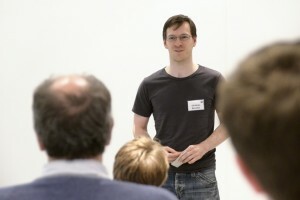 On the website of the Rhein-Ruhr-Toastmasters you will find more information. 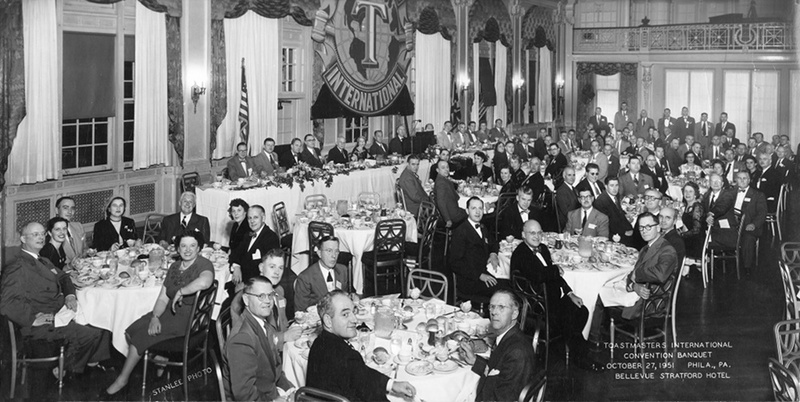 If you are interested to learn more about who and how the Toastmasters started in California in 1924 and how this became a worldwide organization with more than 15,900 clubs in more than 140 countries, you should check with our American Parent organization. Furthermore this will give you a deeper insight into the Toastmasters International organization. The European Conference takes place twice a year, the highlight of the Toastmasters year. Each member can participate. More information can be found here.